If you are a regular delegate wishing to register to attend and the conference you are attending is using Ex Ordo, this article will explain how you can register. Once the registration period opens, you will see a Register prompt on your dashboard. Clicking on Register button will take you to the conference registration form. If the registration is not opened yet or the deadline has passed, you will need to contact the conference organisers. You will be now taken through the couple of steps where you can select your registration fees, workshops, social events and proceed to a payment page. Steps you can see in here will depend on the settings conference organisers configured for their conference. Guide for delegates is the first step. Here conference organisers might give you some details on their conference fees, terms and conditions or any other important information related with the conference you're registering for. Click Next to select your registration fee. Now it's time to select your registration fee. When you're done, move to the next step. 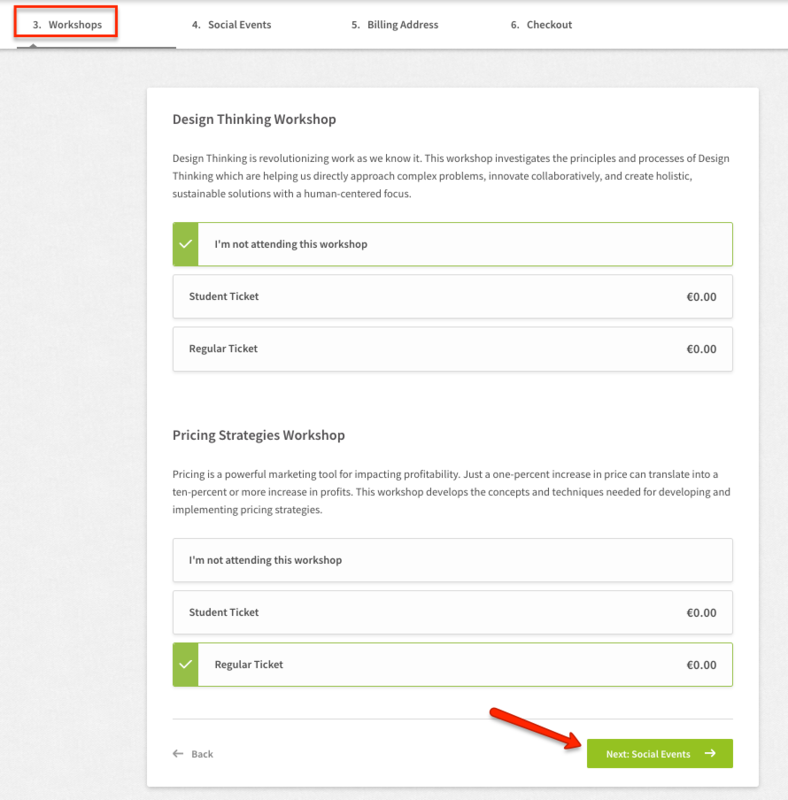 If the conference has workshops enabled you'll be able to select your workshop in this step. Click Next. 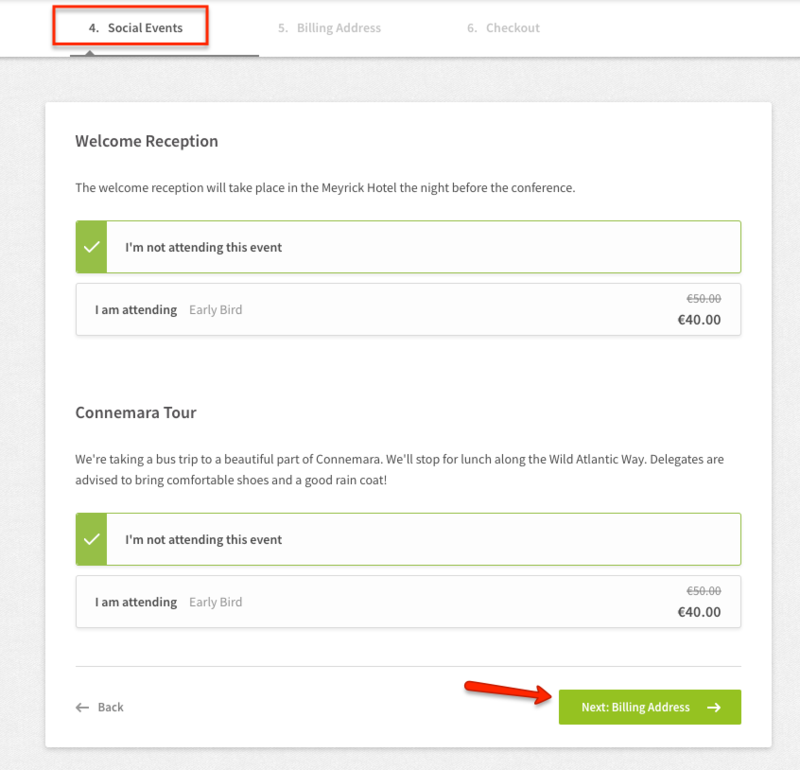 Here you can confirm your attendance for a social event. If the step is not showing for you it means conference doesn't have any social events or they could be included in the registration fee. Click Next. This step is a default step of any registration process. 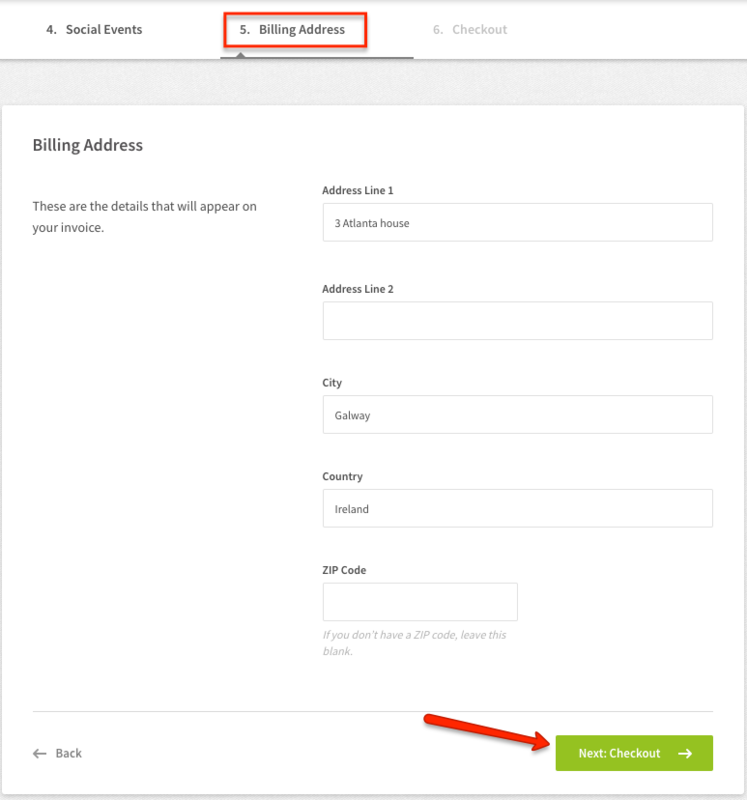 You'll have to add your Billing address and details that will appear on your registration Invoice. In this step you will see list of all the services you've selected and your amount due at the bottom of the page. If you would like to edit your registration you can always go back to any of the steps and make the change. 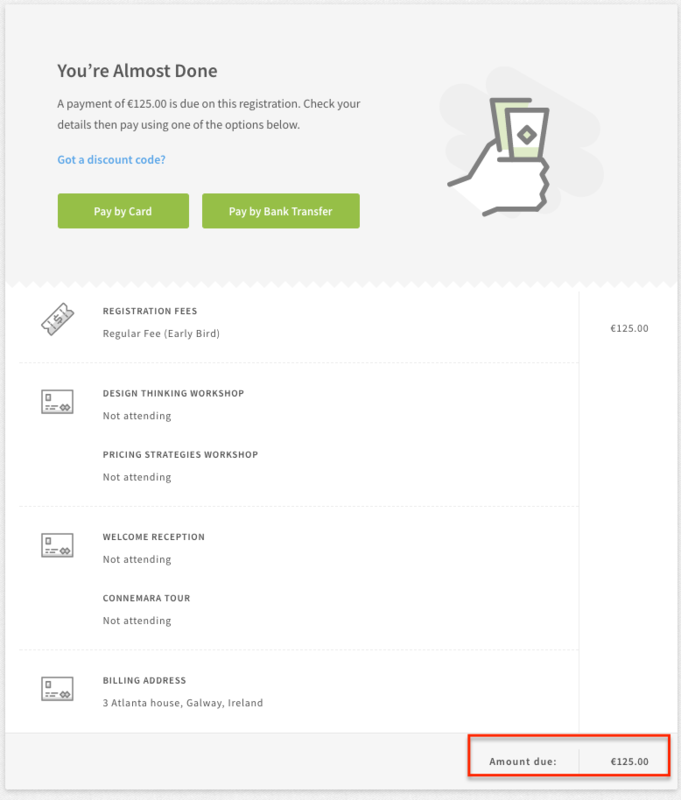 On the checkout step you have to select your payment type. Conference can collect credit card payments, bank transfers or both as shown on the top of the image below. We have more information about each of these option and the next steps in Paying for your registration. Once registered, you will receive an email from the system with confirmation of your registration. Why can't I register for the conference? Can I pay with a bank/wire transfer? My credit card payment failed. What next?